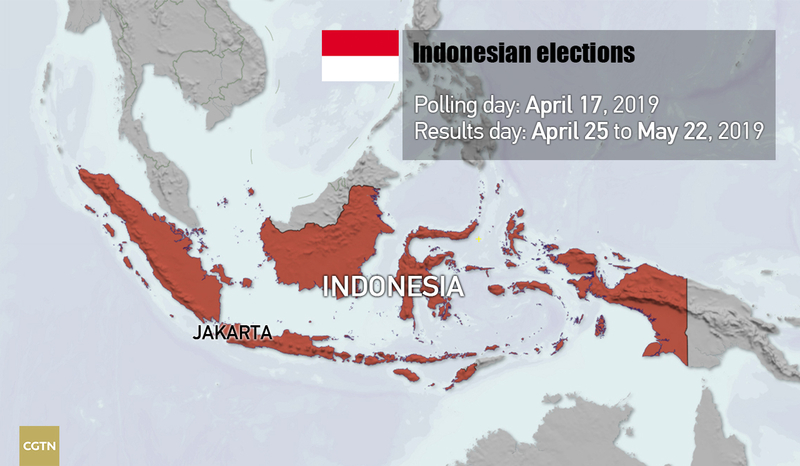 When Indonesians go to polls on Wednesday, they will participate in the single largest election day in the world, as up to 193 million Indonesians vote for a president, vice president and multiple legislatures. About 245,000 candidates will be running for more than 20,000 national and local legislative seats across a country made up of around 18,000 islands and covering 1.9 million square kilometers. The election was dubbed a “five boxes” election, as voters will be presented with five different ballot papers: gray for the president and vice president; yellow for the People's Representative Council; red for the Regional Representative Council; blue for the relevant provincial legislature; and green for the relevant district or municipal legislature. The Lowy Institute, an Australian think-tank, calls it "one of the most complicated single-day elections in global history." Polling stations will open at 7:00 a.m. (2200 GMT on Tuesday) in the east and close at 1:00 p.m. (0600 GMT) in the west. Though formal results are expected to come out some weeks after the election, quick counts by some reputable polling companies will give indicative results on the evening of voting day. The General Election Commission is expected to announce an official result in May. 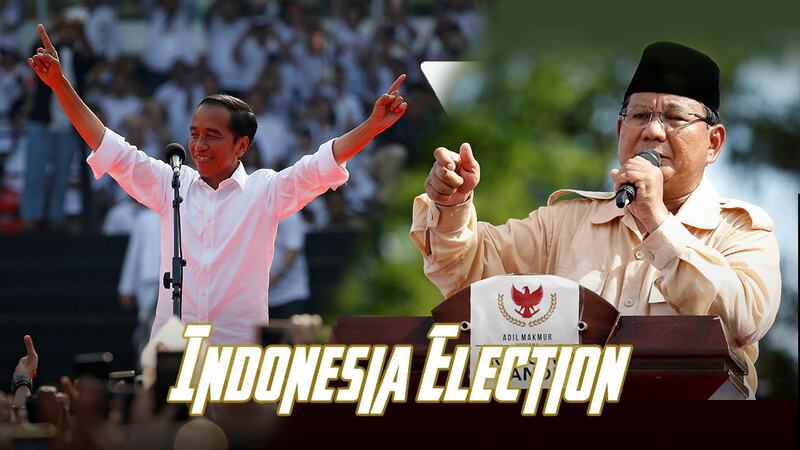 All eyes will be on incumbent Joko Widodo and former army general Prabowo Subianto in what is expected to be a tight rematch of the last presidential race in 2014. Widodo, 57, has always been known as the people's president, and is widely popular for his casual and down-to-earth manner. He was once a furniture salesman and launched his political career as a small-city mayor. Widodo was saddled with high expectations as president from tackling past human rights abuses to rooting out pervasive graft. But some progressive voters were disappointed. He picked Islamic cleric Ma'ruf Amin as his running mate for the election, seeking to boost the ticket's appeal to Muslims. Challenger Prabowo, 67, was once a special forces commander and he comes from an elite political family. Prabowo has quickly garnered support from young people this time around. His choice for vice president, businessman Sandiaga Uno is likely to be more attractive to millennial voters. Prabowo is making his second tilt at the presidency after narrowly losing to Widodo five years ago. He has pledged to boost the country's economy and focus on key infrastructure projects. Widodo had promised seven percent economic growth and has vowed once more in his current campaign to help Indonesia achieve stronger economic growth. But the economy has so far fallen short of his promised figure, the rupiah saw a months-long slump and Indonesia's budget deficit went up. Prabowo and Sandiaga expressed their grave concerns with the "endless weakening of the rupiah" weeks before campaigning started. "Our economy's fundamentals are weakening because there have been misguidance in the strategies used to propel our economic development. One such misguidance is the government's inability to extract the people's economic potential, which has led them to a path of greater reliance on imported rice, sugar, salt, garlic, etc," said the pair. Although the country's economy has seen a slower growth compared to previous years, economists say it's nothing to worry about. 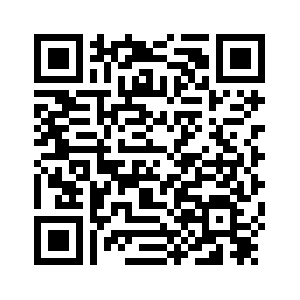 "We need to show that our economy is strong on the global front, so investors will not panic. We already have a strong fundamental economy. Our growth is small, but still of quality because we are able to tackle social issues such as unemployment, poverty, and economic inequality. Those are very important points," economist Fajar Bambang Hirawan told CGTN. Since Widodo took office in 2014, he has successfully implemented many infrastructure projects within big cities and villages on the outskirts of the country. His administration has been praised for his vision to ease connectivity between islands, provinces and cities by developing seaports and airports across Indonesia. Both candidates have opposing views when it comes to food security, an important topic in Indonesia. Prabowo is looking to stop food imports such as rice and sugar, whereas Widodo believes in strengthening the country's import and export industry, while at the same time maintaining solid relationships with the international community. Since taking office in 2014, Widodo has welcomed Chinese investment to build roads, airports and other infrastructure projects across the country. Last year, China and Indonesia signed 23 billion U.S. dollars in BRI contracts, including two hydro power plants on Borneo island and a power station on holiday hotspot Bali. 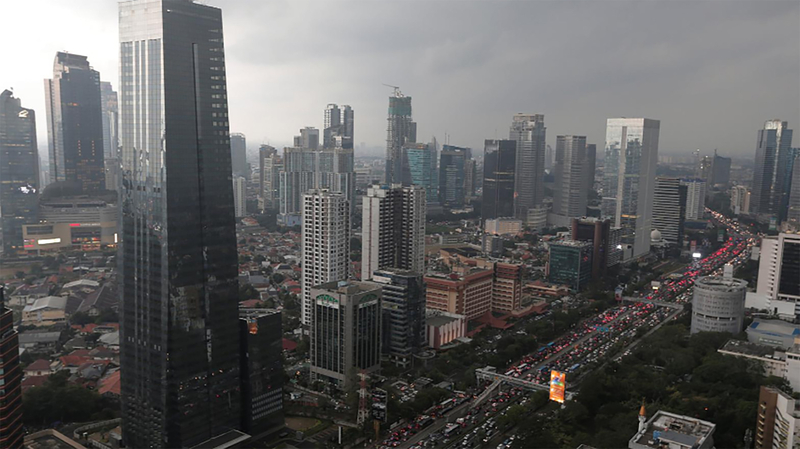 Indonesia has since said it would offer 91 billion U.S. dollars' worth of projects, from ports to power plants, to Chinese investors at a Beijing summit in late April, just after the polls, according to AFP. However, Prabowo is looking to push future development in another direction, as he said he would look to review Belt and Road projects if he came to power. Religion has always played an important political role in Indonesia, one of the largest Muslim populations in the world. Voters in the country expect leaders with strong Islamic values. Widodo's decision to pick a Muslim cleric as his running mate has many believing the move was intended to garner support from conservative religious groups. 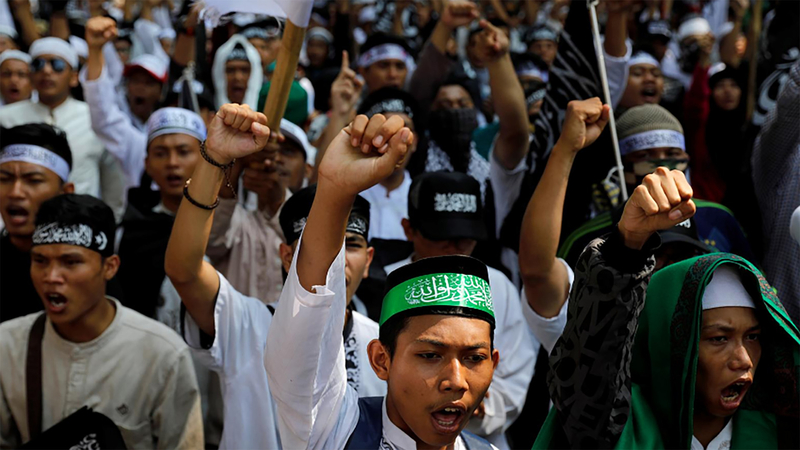 Widodo's aides say the mobilization of grassroots support and canvassing of thousands of Islamic schools in conservative provinces is crucial to preventing a repeat of 2014, when the opposition attacks cost him votes. Prabowo, meanwhile, is known for his close ties to conservative Muslims and has the support of Islamic parties such as the Prosperous Justice Party. A small army of “hoax busters” is trying to hold the line against a swarm of fake news that might sway the voters. Analysts say much of what Indonesian social media audience read about the 245,000 candidates is untrue. Under Indonesia's broad Internet defamation law, creating and spreading fake news is illegal, but holding social media accounts in false names is not, unless a real person is being impersonated, according to Reuters. Both Widodo and Prabowo are hit daily with false reports. Indonesia's communication and information ministry has created an 80 person, around-the-clock fact-checking team to expose hoaxes and other fake news, with officials announcing the results at regular press briefings.